It’s Monday, so let’s talk cookies! Suppose it should be about cookie packaging. Looks like Oreo is the latest in the lineup to give their packaging a dose of customization. In fact, they’re putting YOU in the driver seat. Just in time for the holidays, the infamous sandwich cookie has rolled out a new line of Colorfilled packaging designed by New York-based artists Timothy Goodman and Jeremyville. The current designs are heavily pop art-inspired, quite literally filled to the brim with stylized seasonal goodness. As far as colors go….you get to pick them! That’s right, the packaging is customized on the spot. Want Santa to have a blue beard? Then Merry Christmas to you! Add little accessories like winter hats and scarves, fun phrases with classic cookie at the center, and even personalize it with your message. 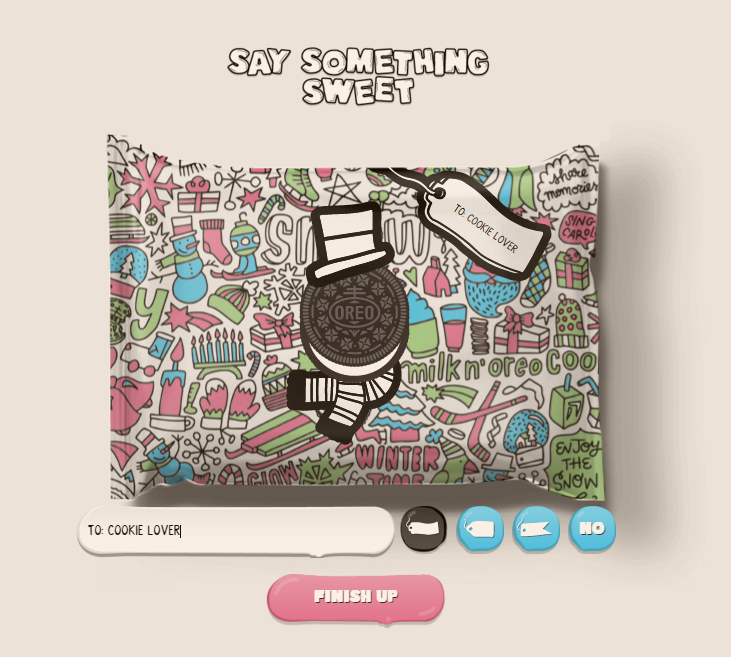 When your design is complete, you can actually get it made and filled with Oreos. The custom package holds 14.3 ounces of creme-filled bliss. That’s almost a pound of cookies! For craftier cookie lovers, the packaging also comes in simple black-and-white (much like the cookies themselves) with a set of markers to be colored in by the recipient. Mad props if you can color the whole bag before opening it. Custom gift boxes and personalized retail packaging is an important aspect to remember this time of year. The attention these boxes draw is marketing that you cannot afford to miss out on. Not to mention it makes whatever’s inside that much sweeter. In the case of the new Oreo packaging, truer words have never been spoken. But presentation pieces like it are always the smart (and stylish) choice for packaging upscale products.